Posted byWholeDude	 June 5, 2015 July 25, 2015 1 Comment on WHAT IS BEAUTY? WHAT IS BEAUTY? BEAUTY IS HARMONIOUS BLENDING OF REALITY AND ILLUSION. What is Beauty? There are two ways of answering this question, 1. A thing of ‘Beauty’ is a Joy for ever, and 2. ‘Beauty’ lies in the eye of the beholder. WHAT IS BEAUTY? A THING OF BEAUTY IS JOY FOREVER. A BEAUTIFUL OBJECT HAS ESSENCE, INTRINSIC VALUE THAT A BEHOLDER CAN RECOGNIZE EASILY. WHAT IS BEAUTY? A BEAUTIFUL OBJECT HAS INTRINSIC WORTH IRRESPECTIVE OF PERCEPTUAL ABILITIES OF A SUBJECT WHO HAS THE OPPORTUNITY TO PERCEIVE OBJECT AND MAKE AN ESTIMATE OF ITS APPEAL OR SENSORY IMPACT. I would like to make a brief attempt to understand the theory of beauty and know as to why some objects evoke a particular kind of feeling in the minds of observers. WHAT IS BEAUTY? MARILYN MONROE(1926 – 1962) IS FULL OF GRACE, CHARM, AND CONTINUES TO CAPTIVATE MINDS OF PEOPLE WHO VIEW HER IMAGES. WHAT IS BEAUTY? 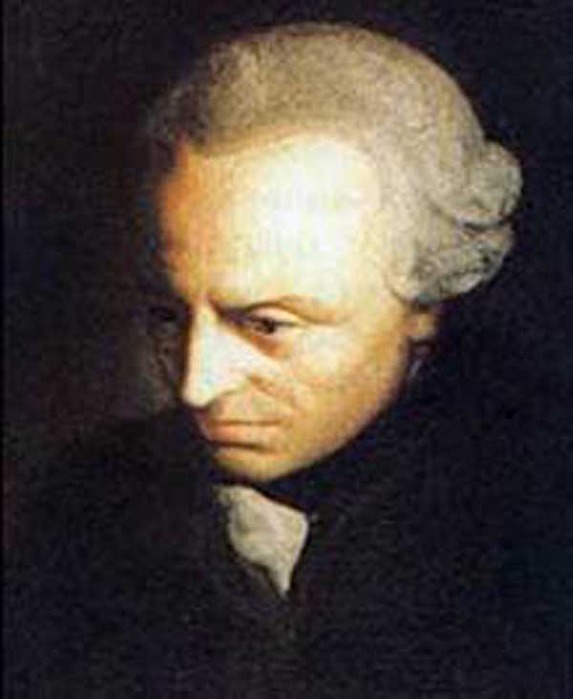 Whole Beauty – Whole Aesthetics: Alexander Gottlieb Baumgarten(1714-1762), German philosopher coined the term ‘Aesthetics’ from the Greek word for Perception(aisthesis). It denotes a realm of concrete knowledge in which content is communicated in sensory form. Aesthetics is a branch of philosophy dealing with the nature of art and the criteria of artistic judgment. Aesthetics involves the study or theory of beauty and of the psychological responses to it. Aesthetics has developed into a broad field of knowledge and inquiry. The term was coined by Alexander Gottlieb Baumgarten to denote a realm of concrete knowledge in which content is communicated in sensory form. Now the term is applied to the study of all the works of the fine arts, the useful arts(crafts) and natural phenomena(eg., landscapes, the human face and body) that have aesthetic value and generate an experience called aesthetic experience. Plato and Aristotle formulated conception of art as imitation of nature. Beauty inheres in the object itself and may be judged objectively. Hume identified beauty with that which pleases the observer. Baumgarten emphasized on importance of feeling. If art imitates nature, the artist must deliberately alter nature by adding elements of feeling to perceive reality. The artistic process involves the use of illusion to mirror the creative process of the world. WHAT IS BEAUTY? 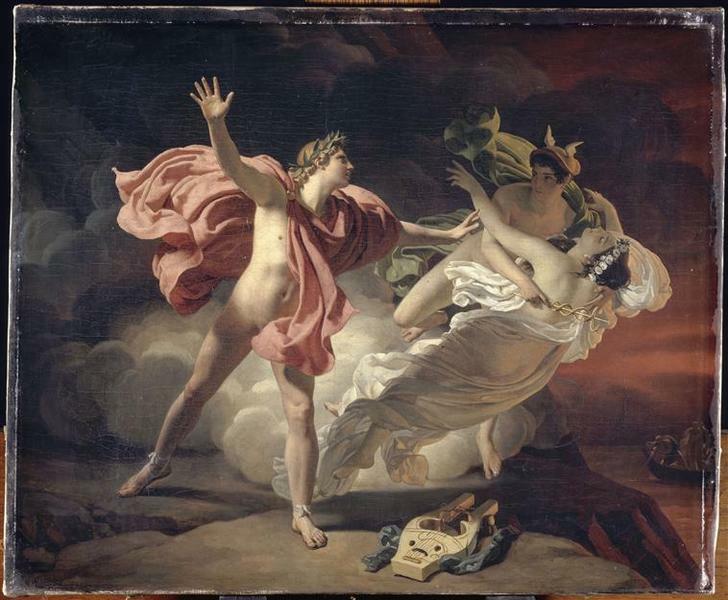 Whole Beauty – Whole Aesthetics: In his first book, The Birth of Tragedy Out of the Spirit of Music(1872), Friedrich Wilhelm Nietzsche presented a theory of Greek mythology and of the foundations of art. It remains a classic in the history of Aesthetics to this day. 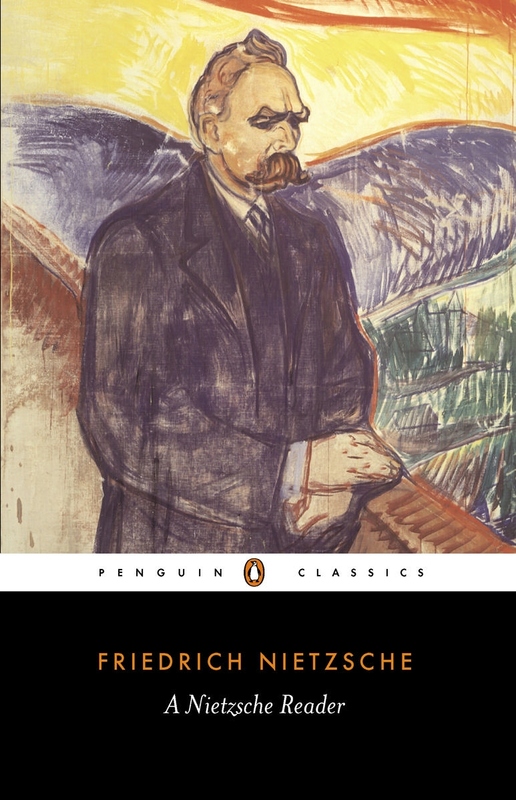 In his first book, The Birth of Tragedy Out of the Spirit of Music(1872), German philosopher Nietzsche presented a theory of Greek mythology and of the foundations of art. He introduced his famous distinction or dichotomy between the Apollonian or rational element in human nature, and the Dionysian or passionate element of human nature as exemplified in the Greek gods Apollo and Dionysus. In Nietzsche’s view, man achieves a momentary harmony with the Primordial Mystery when the two principles of rational and passionate nature are blended either in art or in life. His book remains a classic in the history of Aesthetics to this day. WHAT IS BEAUTY? Whole Beauty – Whole Aesthetics: Son of Zeus, Greek god Apollo is the god of all plastic energies, deity of light, god of reason, and god of life and form giving force. 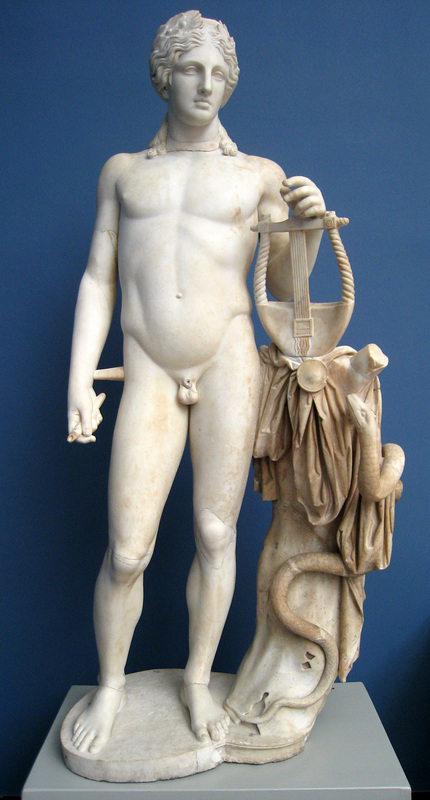 In art, Apollo is portrayed as perfection of Youth and Beauty. Nietzsche describes Apollo as the reality that is ordered and differentiated by forms. WHAT IS BEAUTY? 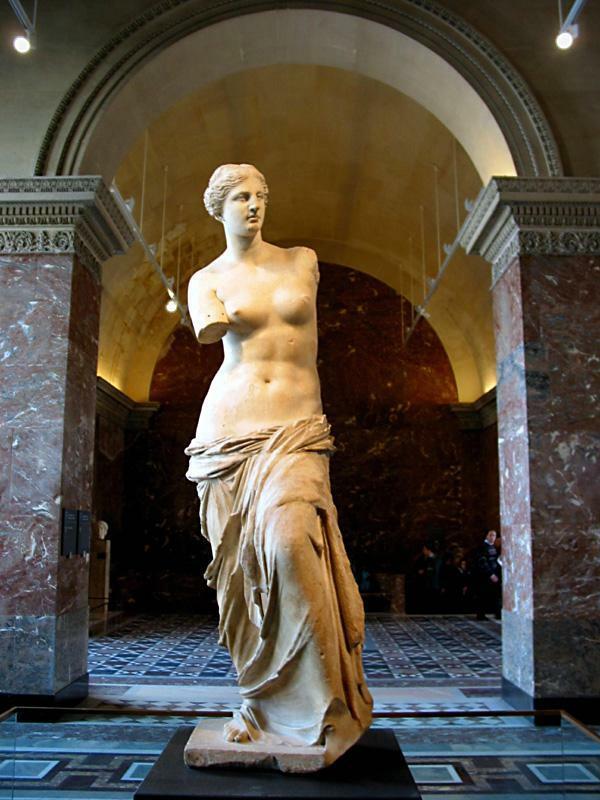 Whole Beauty – Whole Aesthetics: Greek god Dionysus is the god of fertility, and passion. He taught mankind viticulture. He is capable of dreadful revenge upon those who deny his divinity. 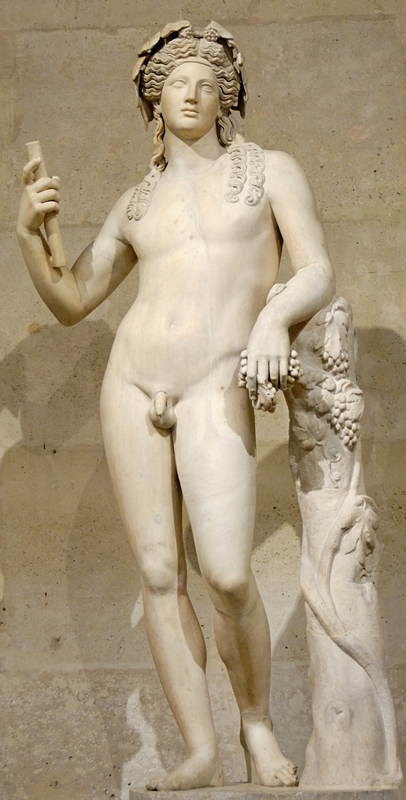 According to Nietzsche, Dionysus represents reality as disordered and undifferentiated by forms. Dionysus is the god of Choral Music, self-forgetting, embraces chaos and frees the self to seek unity with others and gives way to a primal unity with Nature. Nietzsche described an art form that transcended the pessimism and nihilism of a fundamentally meaningless world. The tragedy of Ancient Greece was the highest form of art. The Apollonian element represents measure, restraint, and harmony The Apollonian element is found in the dialogue which gives a concrete symbolism that balances the Dionysian element. The Apollonian spirit is able to give form to the abstract Dionysian. Nietzsche claims that the Dionysian element is to be found in the music of the chorus. Under influence of wine or of narcotic draught, the Dionysian element makes everything subjective to vanish into complete self-forgetfulness. WHAT IS BEAUTY? Whole Beauty – Whole Aesthetics: In Greek mythology, Orpheus, son of Apollo and Muse Calliope, played the Lyre beautifully that he charmed the beasts, trees, and rivers. He is seen recovering his wife Eurydice from Hades after her death. It describes the pain and suffering of human existence and the struggle to overcome it. WHAT IS BEAUTY? Whole Beauty – Whole Aesthetics: Greek god Orpheus brings his wife Eurydice from Hades after her death. But, tragically, he loses her when he turns to look back and he was not allowed to see her while she followed him out of Hades. The Greek religion of Orphism is based upon the dual aspect of human nature described as Good and Evil. Orpheus worshiped Apollo above Dionysus and Dionysus retaliated by killing him. Nietzsche describes the inseparable ecstasy and suffering of human existence. He states that man’s ability to live creatively in optimistic harmony with the sufferings of life demand the use of both Apollonian and Dionysian elements. Plato reasons that it is only an aesthetic phenomenon that existence and world are eternally justified. However, Nietzsche claims that knowledge and rationality in themselves do nothing to justify existence and the world. In Nietzsche’s view, life finds meaning only through art, music and tragedy. Existence and world become meaningful not as objects of knowledge but as artistic experiences. Nietzsche includes the Buddhist or the Eastern philosophy of pain and suffering as an inescapable attribute of human existence and emphasizes a tragic longing for nothingness and absence of will. Nietzsche recommends to live a life in a human-dreamt world of illusions. He sees existence as an illusion of illusion. 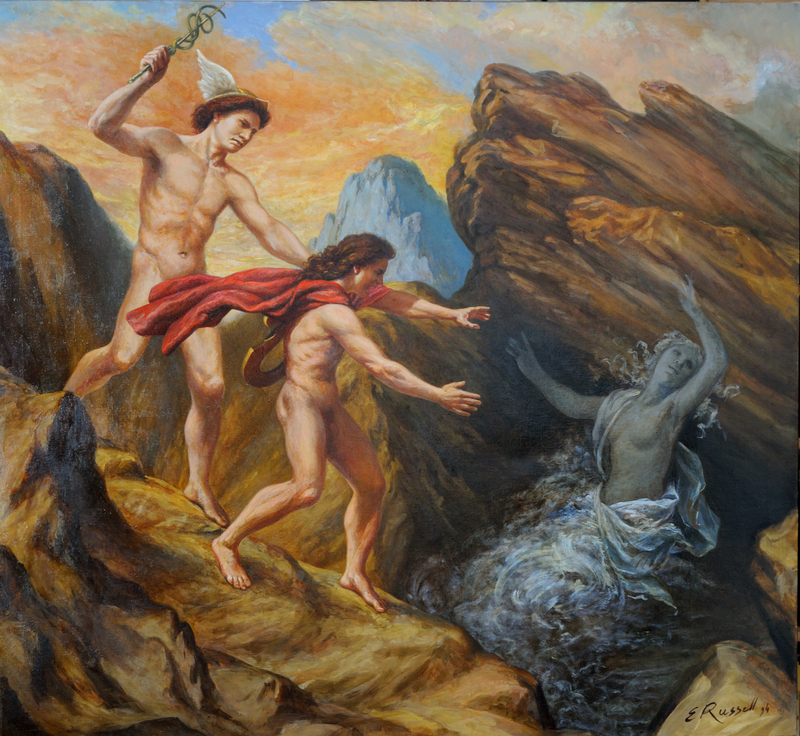 Nietzsche bemoaned the final destruction of Greek tragedy by Greek philosophical inquiry which sought a more logical connection between Nature and mankind. Euripides, Socrates and their disciples demanded a rational explanation of the Greek myths and caused the final destruction of Ancient Greece’s religion and culture. WHAT IS BEAUTY? Whole Beauty – Whole Aesthetics: Greek philosophical inquiry sought a more logical connection between nature and mankind. Euripides and Socrates demanded a rational explanation of Greek myths and caused the final destruction of Homeric pantheon. I use the term ‘Whole Aesthetics’ to describe the ‘Wholeness’ of Human Existence that requires the ‘Whole Harmony’ between Dependence and Freedom, the Whole Harmony between Illusion and Reality, the ‘Whole Unity’ between Spirit and Soul. 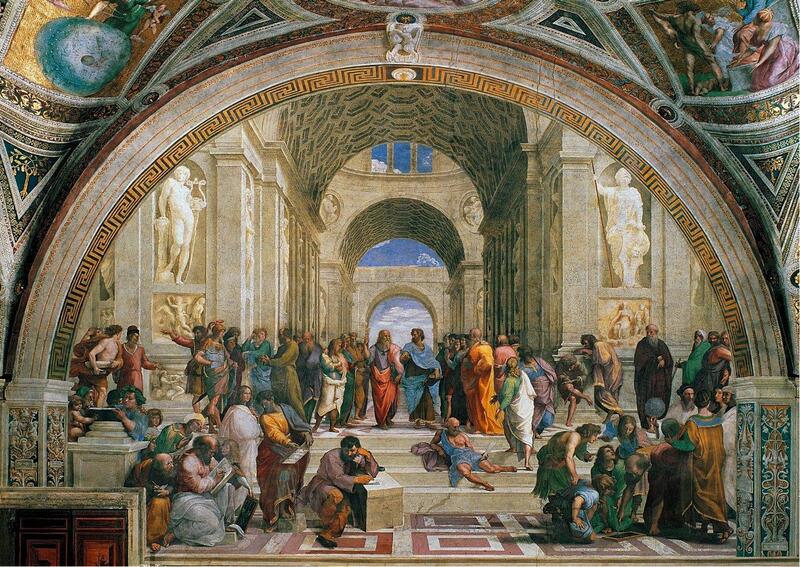 At the School of Athens, artist Raphael uses the illusion of an artistic process to create a scene where Plato and Aristotle are debating their conflicting views about Human Nature and Human Existence. Aesthetics involves the study of objects that have inherent aesthetic quality to generate an aesthetic experience in the mind of an observer who has capacity to interpret sensory information. An artist uses the artistic process to capture the creative process of the world by integrating illusion with reality. I describe the conflict in the nature of human existence is caused by the tension between the two basic elements called Dependence, and Freedom. Human Dependence upon an external source of energy and sustenance is made possible by the vital, animating principle called Soul. The Joy, the Happiness, the Blissful condition of Existence gives the man the desire for Freedom, the Freedom or Independence from Dependence that established the Existence. The pursuit of Freedom may make man to live dangerously with a spirit of recklessness. Finally, Death is inevitable as there is no escape from the nature of Dependent Existence. Man uses the power of Imagination to secure his Freedom from Death and Dependence. Man creates an Illusion of eternal Life in which he sees the Illusion of his Freedom. Spirit is the principle that governs man’s desire for Freedom, and Independence. It is with the principle of Spirit man is able to dream, imagine, and create an Illusion that gives him the relief or the escape from the reality of pain and suffering. I would like to use the term ‘Whole Aesthetics’ to describe integration of the principles of Soul and Spirit to bring ‘Whole Unity’ and ‘Whole Harmony’ between the conflicting elements of Dependence and Freedom by using an artistic process of combining Reality with Illusion. I can discern application of this artistic process in the works of Whole Artist or Whole Designer who makes man to live on the surface of a fast spinning object called planet Earth where the Power of Time churns every future instant into a past instant without ever giving man the chance to recognize experience of a present instant. Man can only recognize a present instant after it gets transformed into a past instant. The Reality of Human Existence is Experience of Illusion that lets man to recognize a past instant as a present instant.